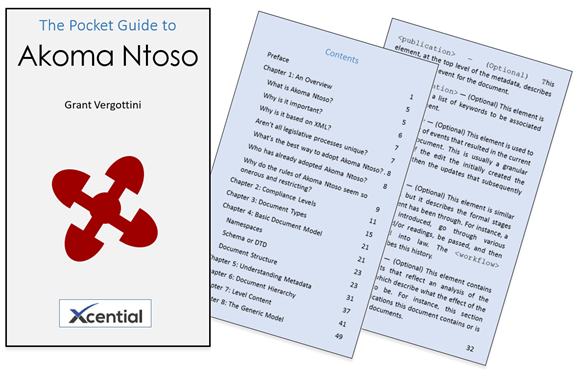 I Have a New Book – on Akoma Ntoso! If you are like me, learning a new technology by reading the standards documents is a difficult task. Standards documents are written to describe a technology, not teach it. They are supposed to completely describe the standard, preferably without resorting to examples to make their point. They use precise language and complicated words prescribed by standards style guides. So, I have written a book for the rest of us. It is written in the style of the O’Reilly pocket books. Think of it as a primer and a pocket reference. It is meant to complement the standards documents, not replace them. 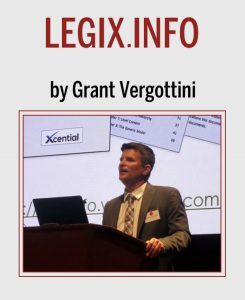 My book has also now been reviewed and approved by the LegalDocML technical committee (of which I’m a member).